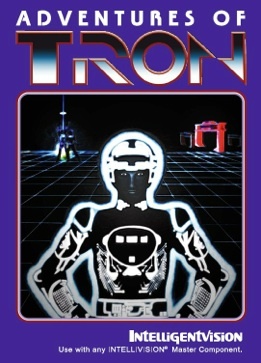 Spanning almost a decade (2003 – 2012), David Harley and Intelligentvision released 17 games for the Intellivision console. The first one being the famous Stonix. In November 2012, David announced the end of Intelligentvision. By Christmas time though, he may have already returned to the scene. We’re going back through time with the founder who accepted to answer our questions. Before explaining the Intelligentvision’s story, we would like to know more about you. When did you start with the Intellivision system? I was 12 years old the first time I saw an Intellivision. A friend had one and I would go to his house as much as possible and even sleep over when allowed. All night and all day… playing games.It was crazy! The machine costs around $260. I don’t know how long it took for me to actually pay mine off, it was on layaway. Probably one year, I don’t remember exactly. My friend owned only sport titles; Football, Soccer, Boxing, Baseball and Basketball. When I finally received my machine, I also bought Skiing. I later bought Tennis, Sea Battle and Auto Racing. When you bought your Intellivision, did you play on your own or with someone else? Skiing and Auto Racing can be played alone. My brother and friend played Sea Battle and Tennis with me. And what is your favorite one? Tennis! Definitely Tennis. Why? I don’t know… maybe because I was good at it. It’s a simple game and challenging at the same time. I love Sea Battle too.With Sea Battle, you have to develop a strategy. In Tennis, you move and hit. It’s pretty easy. My brother and I put so many hours into these two games. I can say I love every game. But Tennis is definitely my favorite when I was kid and even today! My second favorite game was baseball. It requires full use of the controller yet simple to play. I quit buying games late 83’- early 84’. At the end of 90’s, I was on eBay looking for some “new” Intellivision games. This is where I learned about Championship Tennis. I bought it and was so disappointed after receiving it. I wanted it because of the one player mode. The game play was terrible. It wasn’t like the original Tennis. If only the original Tennis would have a one player mode. Can we say you are a collector? Definitely! Everything I made was for me first! In selling the games, I was sharing what we did. I have a poor collection. I have around 50 CIB games and I have a bunch of cartridges but I don’t remember how many I have. I don’t have the 125. I do have almost all the manuals and overlays. I don’t have it now. I had the 125 games before,but I sold some of them. How and why did you start an Intellivision collection? I still have my original console from 82’. Even though I stopped adding titles to my collection, I continued playing the games. When I found eBay in the late 90’s, I learned that I missed a lot of games like Championship Baseball, Spiker, Championship Tennis, and Tower of Doom. I thought it would be fun to play them on the console so I started to buy them.I remember wanting the ECS in the 80’s but never saw it for sale. I ended up buying an Adam computer. This was the opportunity to buy the ECS and games. Do you collect other systems? No. My only other collections are the Mattel Electronic handhelds, Rubix cubes, and US currency. Yes. It’s a long story. I bought some games on eBay in the late 90’s. Later, in 2001, I met Chris Neiman. He was known as intvman. I emailed him because I realized he was one of the biggest collectors at the time. I met him at the CGE (Classic Gaming Expo) in Vegas. He was in contact with Dan Blitz whom we met up with at the show. Chris had known Dan for some time and it was my first time meeting him. We all went up to one of their hotel rooms to see some of the games that Dan had access to which were all unreleased and never seen before! How did Dan get these unreleased games? He spent 5 years searching for them! He spent a lot of money too. So, we can’t say he was lucky. He worked hard for them.We all owe him thanks for his work. So, Chris and Dan were talking about producing the unreleased games on cartridge. I was just listening to the conversation. To me, their discussion sounded like they were dreaming about making the games, and I was thinking of the logistics needed to really make it happen. I jumped in the conversation and started saying things like “this is what we need do. We need to make boxes, manuals, the overlays, and how do we get the cartridge programmed?” I was new to the scene, so Chris and Dan didn’t really pay much attention to me. That year, I moved to Germany and I continued trying to get involved in the project. I kept asking Chris through email to be involved but kept getting rejected. I finally wrote him “if I could get Stonix finished, will you let me on your team?”. He finally said yes. That’s the moment my relation started with Arnauld Chevallier. I emailed Arnauld and pitched him my idea. He said “sure, sure, why not.” We spent the next 9+ months working on the game. Arnauld focused on programming the game and I focused on designing levels. His original demo had 3 levels. I asked Arnauld “how many levels do you want me to do?” He told me to “do what you can.” I said: “how about 100?” He laughed and said just do what you can. I took it as a challenge, so my goal was to make one hundred. I would work on them every day when I got home from work. Some days, I was lucky to do 1 or 2 levels, some days I did none because I was testing and redesigning. I believe my daily work helped to inspire Arnauld to keep going. So, Chris and Dan were talking about producing the unreleased games on cartridge. I was just listening to the conversation. To me, their discussion sounded like they were dreaming about making the games, and I was thinking of the logistics needed to really make it happen. I jumped in the conversation and started saying things like “this is what we need do. We need to make boxes, manuals, the overlays, and how do we get the cartridge programmed?” I was new to the scene, so Chris and Dan didn’t really pay much attention to me. That year, I moved to Germany and I continued trying to get involved in the project. I kept asking Chris through email to be involved but kept getting rejected. I finally wrote him “if I could get Stonix finished, will you let me on your team?”. He finally said yes. That’s the moment my relation started with Arnauld Chevallier. I emailed Arnauld and pitched him my idea. He said “sure, sure, why not.” We spent the next 9+ months working on the game. Arnauld focused on programming the game and I focused on designing levels. His original demo had 3 levels. I asked Arnauld “how many levels do you want me to do?” He told me to “do what you can.” I said: “how about 100?” He laughed and said just do what you can. I took it as a challenge, so my goal was to make one hundred. I would work on them every day when I got home from work. Some days, I was lucky to do 1 or 2 levels, some days I did none because I was testing and redesigning. I believe my daily work helped to inspire Arnauld to keep going. The funny thing, it could be stupid, but I didn’t know Stonix was a clone of Arkanoid! I never knew about Arkanoid. I ended up designing around 87 levels, my wife made around 6, and Arnaud made around 13 levels. There are 106 levels in the game. We make 107. Arnaud put one hundred in the game and the other 6 are easter eggs. I don’t remember exactly the timeline but I wrote the manual and the back story for the game not knowing about Arknoid. Arnauld was trying to figure out how to end the game and figured it out after reading my story. The gist of it is you are in space trying to catch Stonix. In the last level, you actually fight Stonix! How many games did you release? Depending on how you count, it was around 17. I include the original four, Stonix, Minehunter, 4-Tris and SameGame & Robots. Even though Space Patrol is a Left Turn Only project, Joe and I collaborated on it, so I count it also. After that, in 2011, we had Donkey Kong Arcade and everything else that followed. Of these last games, we had programming to do on King of the Mountain and Choplifter. These two games were not complete,crashed,and did not have sound effects. I have a question about Spina the Bee. You have a website called BeesLife. Is there is a connection? No connection. Spina is a highly underated game. I wish everyone would give it a chance. Which are your favorite Intelligentvision games? The best one for me or the most meaningful to me? I think Stonix is number one and King of the Mountain is number two. Stonix because you spent a lot of time and made a lot of levels? No. It is because of the friendship we built with Arnauld. Yes, it was the first game but, mostly because of the relationship. Everything about the game was very special. Arnauld came to my house to visit, and I handed him the completed product. It meant a lot to me to fulfill my promise of getting the game on cart, and handing it to him was icing on the cake. And what about King of the Mountain? King of the Mountain was a prototype and I knew the game could be great if it was finished. Not many people know about it. It took many years to complete the game, and I was ecstatic when we finished it. This is the only game I have worked on that I did not get burned out playing it. Space Patrol could be the third because I designed all the levels. Joe worked very hard on making the game play perfect and I worked very hard in trying to make the levels play well. I always enjoy working with others. I can say Tron is special to me too. My nephew did the artwork for it. It’s not the first time you mentioned the word “team”. Is it important for you to work in a team? Very important. You can’t do anything without it. And it’s fun! I could do all the work myself,but it’s not fun and would not come out as nice. I believe in leveraging everyone’s skill. Do you think the Intellivision community is a team? … That a tough question! I would like to tell you something interesting. I have only been approached one time to put a game on cart which was Donkey Kong Arcade. It has been difficult over the years to find programmers to finish good games and produce them on a cart. I tried but was not very successful. Have you been approached to finish Defender of the Crown? Do not hesitate to cut me off as I have lots of stories to tell. Arnauld came to visit me in the USA twice. During his second visit, I talked a lot about finishing Rick Dangerous and Castle. There was nothing I could do to help with Rick Dangerous so I told him that we could do exactly what we did with Stonix: let me write the story for Castle and I could help design the levels. I actually wrote a story for Castle but we just could not get started. When Valter approached Arnauld about Defender of the Crown, Arnauld decided, I believe, to use his Castle code for Defender of the Crown. No one else but Arnauld can finish that game. So, same question… do you think the Intellivision community is a team? No. It’s sad to say that. But it’s not. I want to be honest in this interview and do not want to hold back as I have in the past. I like to give credit where it is due. For example, Stonix, Arnauld did an amazing job on it. He spent a lot of time on it. I did also. It was a team effort. Both of us put our heart and soul into it. Arnauld should get all the recognition though as I only helped him. Regarding all the artwork for the 2011/12 releases. Gil gets all the credit for it. Sure, I directed him but I never touched the artwork. Gil has done beautiful work and I love every piece he did. Not to forget Oliver, again, simply beautiful work. Working with these guys was a dream. It’s never been about me. It’s really about everyone else involved. That’s why I like to try to share these stories. Why did you decide to publish all these games? At the hotel with Chris and Dan, we discussed releasing the unreleased games. We didn’t want to release homebrews.The reason we did the homebrews was to give us a path to release the unreleased games. Did you know some French and English programmers were based in Nice Sophia Antipolis and made games even after the crash? Yes. I believe they made Championship Tennis, Spina the Bee, Scarfinger and Illusions. Some people will receive Scarfinger and mystery game, could you give me a clue? Actually, there are 2 surprise games: Scarfinger and 2 surprise games (We now know the name of these games: Choplifter and Deep Pockets. You just have to buy 2 games and you have a third game as a gift : Scarfinger !). People in forums like AtariAge don’t know anything about me and said I did it for making money. What they don’t talk about it is why.The reason is because I share my love for the Intellivision! Had I not released the games, angering Dan for a while, they would be in a few collector’s hands as ROMs with a majority of us not knowing about them or ever being able to see them in action. The gift included in the Scarfinger bundle is my way of giving back to those that supported me. It has never been about money, only in sharing. I bought one set may be I could buy a second set? You don’t have to. Each person only gets one gift game. It does not matter how many sets you buy. Let me continue the story. It’s sad to me to see how people make statements in forums that are not true and everyone ends up believing them. In 2004, I worked on the Intellivision DVD Library. I spent… I don’t know, many weeks, and months on it. Everything in there, no, not everything, 80 to 90% on it, I personally scanned. For example, the ECS manual, you also have the step by step programming. Each manual has over a hundred pages. I was stupid and should have bought a high speed scanner. My scanner wasn’t very fast. I spent more than 8 hours scanning those two manuals. I did all of this work to try to preserve the history. Dan had suggested that I do the scanning so he shipped me all the rare items he had in his collection such as the Keyboard Component games and newsletters. I was fortunate to have other collectors send me some of their rare items, another team effort. Once I finished the scanning, I wanted to put a menu in front of all the images so the DVD was born. In an effort to make them available to those that would never see everything, I decided to sell it for $20. I bought a printer so I could print directly on the CD/DVDs. I ended up selling around 100 DVDs. I probably would have just posted everything on a website, as it is now, had I a website to post it on. So, I spent 10+ months to make $1800? It doesn’t make sense. If people would only think and stop listening to those that know nothing. The reason why I’m quitting is because I’m tired of people talking about me and trying to go after me financially. It is hard to hear people speaking negatively about something I put love into… this is why I agreed to do this interview. People don’t know the truth and maybe I can spread some around. There are some things best unsaid though. I’m happy we released the games we did. I received a lot of emails thanking me. They wrote: “we love what you do.” It generally takes one bad apple to spoil it for everyone, and the apple out there right now is really bad. Another story. A person sent me an email to tell me $20 for the Library DVD is too expensive. So, I said “what about $10?”. He said “too expensive”. Really, this is true story. So, I said “$5?” He said “no”. Ok, I said “give me your address, I will send you a free copy”. He never game me his address. Stupidity like this tires me. That’s a hard question. Actually, I have quit several times. The first time was while we were producing Same Game & Robots. Robot Rubble and League of Light were probably handled mostly by Roger. I would assume that Chris worked with Joe to get the boards programed and Roger did everything else. He did a beautiful job on them. I returned to work with Joe to release Space Patrol. It was released as an LTO production. It did not matter to me if it was LTO or Intelligentvision. It wasn’t really important for you? No, it was just important to finish the game and make it available to everyone. So, after Space Patrol, I quit again.It was hard for me to find the perfect team and honest people to work with. I wanted to have fun making games. Not having to deal with drama or dishonesty. Then, Donkey Kong. What can I say? I love the Intellivision. King of the Mountain was to be my last game again and I kept going. It was my wife telling me to “keep going! Don’t listen to negativity. Read those nice emails you have saved. Keep going.” So I listened to her. But, some weeks ago, she came to my office and told me “I’m glad we’re done.” That’s why I’m pretty sure, we’re done. She has been my biggest inspiration when I felt beat up. If I give $100 000, will you give all your Intelligentvision prototypes and games? Nope! Some games will never leave my hands like Stonix, King of the Mountain, Same Games & Robots and Tron. Never. Do you think the President Obama plays Intellivision? (He laughs). He’s too busy on the Atari Age forum! What do you think will happen in one decade, I mean in 2022? I think a lot of consoles will stop working. That’s why I had the PC interface made. I have the piano and the ECS keyboard. I love to play games with the real hardware. This interface is the only way to play with the piano on the computer. No one else has sold a product like this before. Do you have a message to share to the Intellivision community? I would like to thank every collector and gamer that supported me. I have saved every nice email written, and I enjoy reading them from time to time. They remind me why I did what I did. I hope you all share the games with your friends and family and I hope you are entertained with the games for many years to come.